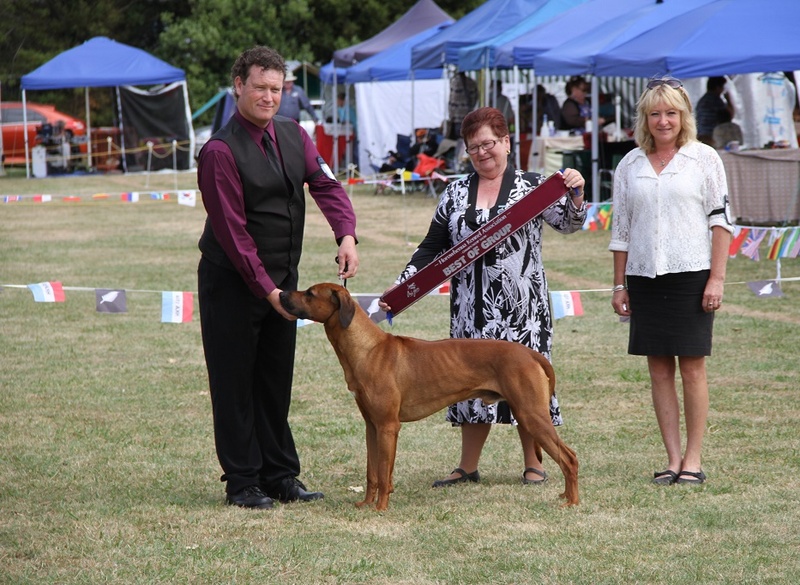 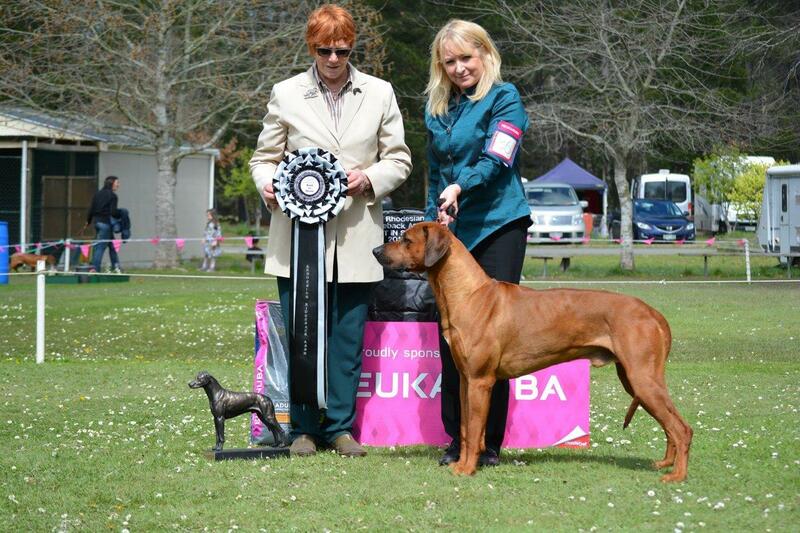 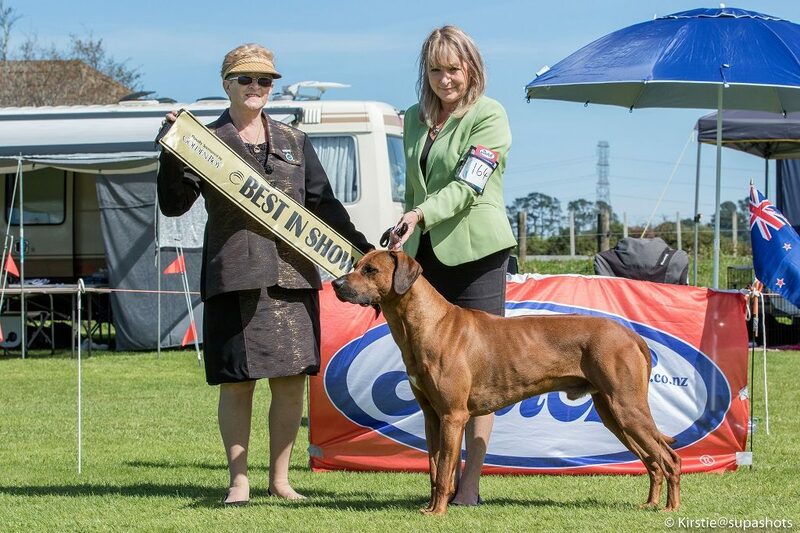 ***BEST IN SHOW*** - New Plymouth Kennel Assn Champsionship Show 2017. 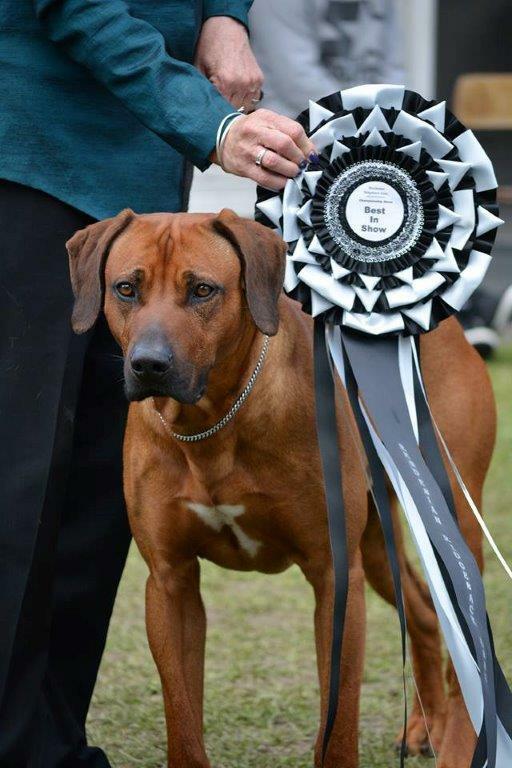 This Award now means Jed has 2 BEST IN SHOW ALLBREEDS achievements. 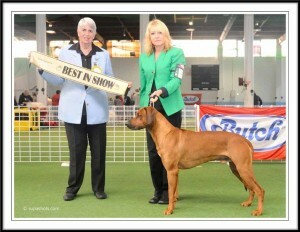 He needs one more to make him a Grand Champion!! 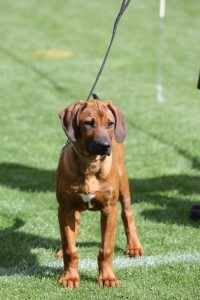 Jed came to us from Debbie Johnston of PuririKnoll Kennels. 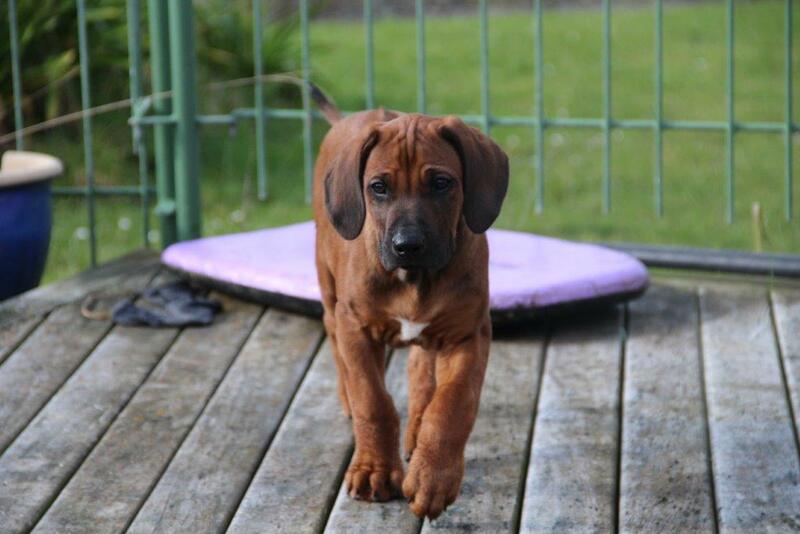 He was the only boy in a litter of 3. 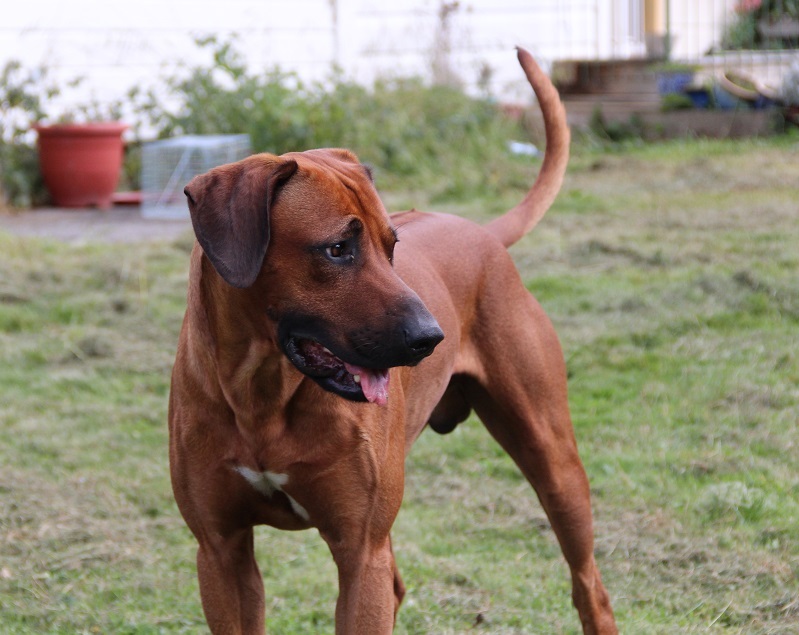 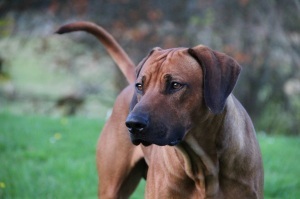 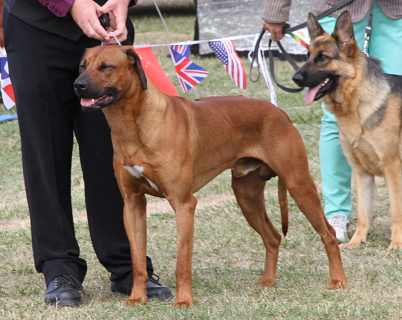 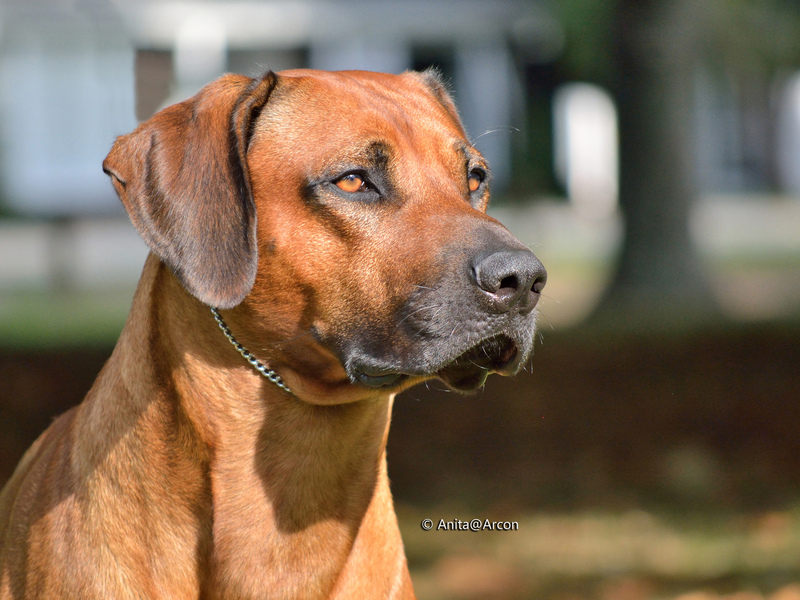 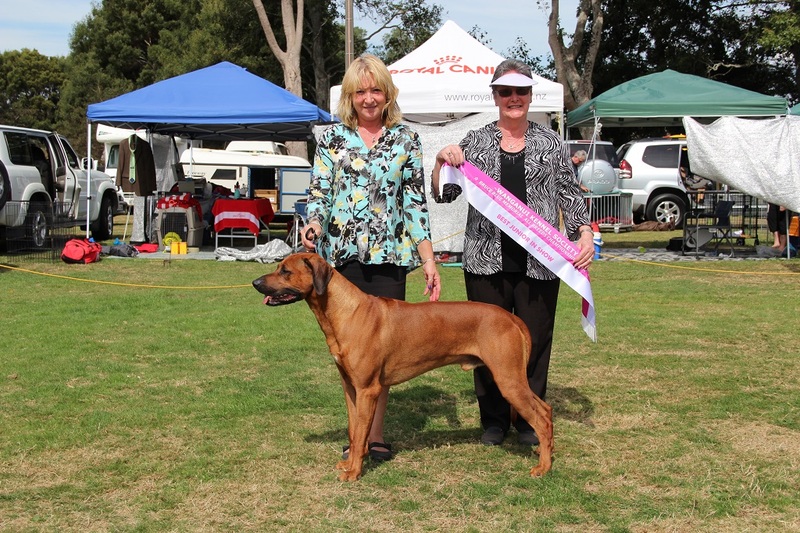 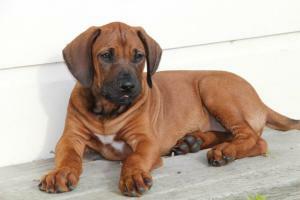 Jed is a gentleman Ridgeback who likes to please. 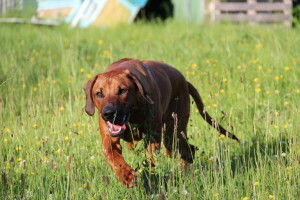 He has passed this temperament onto a number of his children. 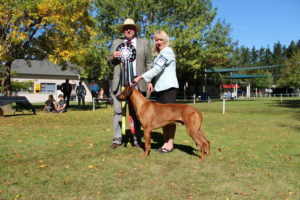 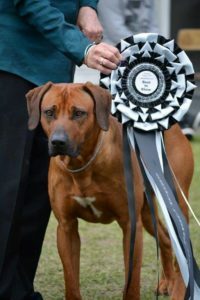 Jed is making us proud in the Show ring, having already won multiple Age Class In Show awards, multiple Best of Group and Age Class in Group Awards as well as Best in Show Specialty at the Wellington Hound Show under judge Annette Buxton and a Best In Show Allbreeds at the Leo Rolfe Memorial Champ Show under Maureen Boyd and Duncan Schilling. Jed is still a young dog and has already exceeded our expectations and he continues to surprise us all. 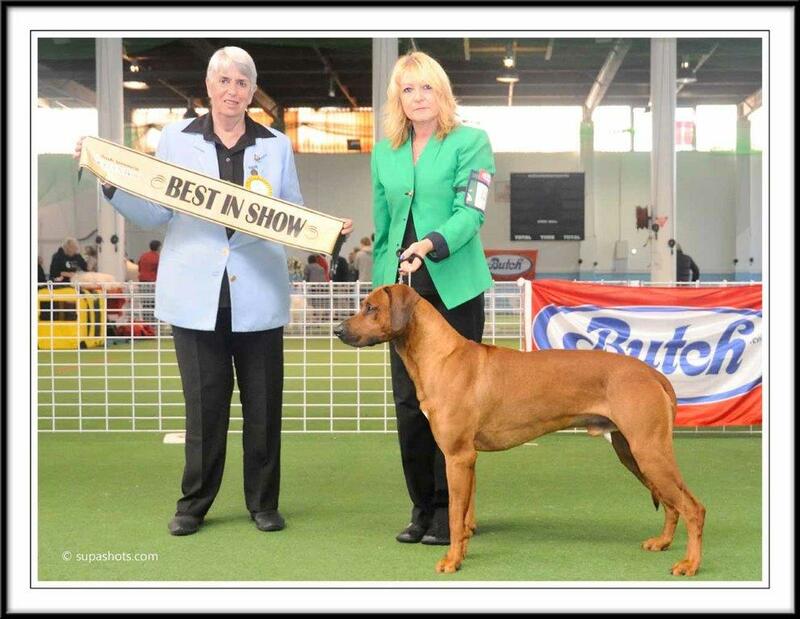 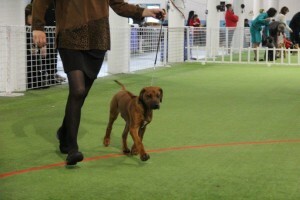 We are excited to see how far this young dog will go in his show career.